Durham Book Festival takes place in and around Durham from Saturday 7th until Sunday 15th October, with events held in a range of iconic venues including Durham Town Hall, Durham Cathedral and the Gala Theatre. Founded in 1990, this literary feast is one of the longest running festivals of its kind in the country. Since 2011 it has been produced by New Writing North, with support from Durham University and Arts Council England, as well as a range of trusts and foundations. Last year the festival engaged with over 17,000 people across 60 events with leading authors, poets and thinkers, a touring theatre production for families and the Big Read campaign (this year David Almond’s Half a Creature from the Sea). Sold-out events have included appearances from Bill Bryson, PD James, Simon Armitage and local hero Ben Myers who won the inaugural Gordon Burn prize in 2013. The prize takes place at the festival each year and is fast becoming a core part of the programme honouring the late North East author and journalist Gordon Burn and seeks to reward writers who embody the spirit of Burn’s own bold and innovative literary methods. Judged this year by Petina Gappah and Ian Sansom and looks to reward a published title either fiction or non-fiction so don’t rule out anything in the left-field. Elsewhere this year, features include events by Jenni Murray, Lissa Evans and Alan Hollinghurst while Chris Ryan and June Sarpong offer a more mainstream literary offering. Alongside these more traditional author events, Durham Book Festival commissions new writing each year: 2017’s highlights include Zine-Making in a Day with Una (a graphic novelist), a poetry book showcase featuring Sinead Morrissey, Colette Bryce and Tara Bergin while Gary Fildes and Alec Ryrie open up discussions on science and religion respectively, and A Crisis In Masculinity should keep things topical. A further highlight (sadly already sold out) will be three screenings Harry Potter and the Philosopher’s Stone in Durham Cathedral Nave – near to where scenes of the film itself were shot – and its companion workshop Inside the Archives: Witchcraft for Muggles in Palace Green Library. Peep Show’s Robert Webb is also set to debut his acclaimed How Not To Be A Boy memoir, with an introductory gender-smashing show at the Gala Theatre. Each year, the festival also works with local schools offering school-based poetry workshops working in partnership with Durham University and the Festival Laureate – an acclaimed poet, who is invited to produce a new piece of work to be premiered at the festival each year. 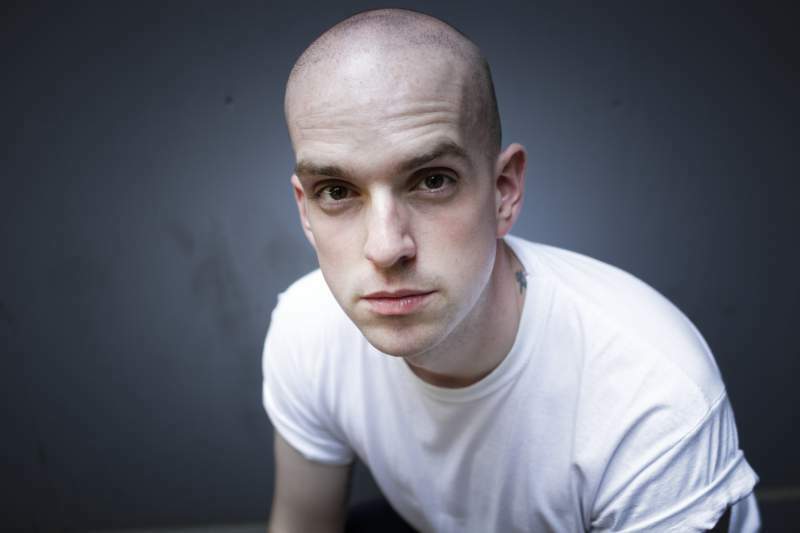 Taking that title in 2017 will be none other than Andrew McMillan, whose debut collection Physical was the first poetry winner of The Guardian First Book Award. Keen to remain, in essence, a community festival, it continues to reach all corners of County Durham via a musical theatre production for children under seven years and their families. The production is adapted from a different picture-book each year and visits libraries, community centres and schools, often in rural areas which have no theatre venues of their own and will this year focus on Amy Sparkes’ Do Not Enter The Monster Zoo. Durham Book Festival takes place at various venues around Durham from October 7-15th.